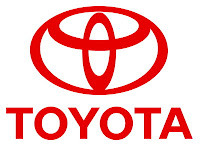 Toyota Astra Motor, or TAM is usually shortened to Single Agent Brand (ATPM) Toyota and Lexus cars in Indonesia. TAM is a joint venture between PT Astra International Tbk with a percentage share of 51% and Toyota Motor Corporation, Japan with a percentage share of 49%. Combined all given the name of PT Toyota-Astra Motor. The merger was effected in order to unify and efficiency measures in response to the demand for quality and facing intense competition in the automotive world. For over 30 years, PT. Toyota-Astra Motor has played an important role in the development of the automotive industry in Indonesia as well as job opportunities in industry supporters. PT. Toyota-Astra Motor already has production plants such as stamping, casting, engine and assembly industries in the area Sunter, Jakarta. To improve product quality and production capabilities, in 1998 opened a factory in Karawang using the latest technology in Indonesia. Applicants must be willing to work in SUNTER, NORTH JAKARTA. Preferably CEO /GM / Director / Senior Managers specializing in Secretarial/Executive & Personal Assistant or equivalent.